Often, as she retraces Eliot’s steps through life, Mead finds herself gazing through the windows of houses her author-hero lived or stayed in some century and a half earlier. The recurrence of this image is telling. Windows, in Middlemarch as in life, can occasion a reflective mood: on the largeness of the world outside; on the different and separate joys and troubles of those one can see from them. This humbling experience can isolate but also serves as a reminder of the extraordinary variety of life, perhaps even the glory that lies therein. The censorious glimpse from behind the net curtain is a peculiarly English phenomenon, and I derive delicious pleasure from the two Georges’ carelessness about the judgment delivered by smaller minds and smaller hearts than their own. Lewes was not her first love. But the philosopher Herbert Spencer, whom she met when she moved to London, did not reciprocate her affections. As readers, was this to our ultimate benefit? He was part of her education, as Dorothea [Brooke, in Middlemarch] was part of Lydgate’s education [their romance, too, goes nowhere], and as all our loves, realized or otherwise — all our alternative plots — go to make us who we are, and become part of what we make. “All our alternative plots” is a marvelous turn of phrase, containing in it all that is unbearable yet liberating about the lightness of being. The delicate misunderstandings between Dorothea and Will Ladislaw, which keep them apart for so many hundreds of pages, are, after all, predicated on their perception of alternative plots. When they are united at last, all haze dispersed, their love is more powerful than it could otherwise have been. A will — Dorothea’s late first husband’s — previously an impediment to their union, is punningly trumped by a capital-letter Will, in a subversive repudiation of the inheritance trope central to so many Victorian novels. Although Dorothea’s second marriage doesn’t escape opprobrium (as Eliot’s first, after the death of Lewes, to a man twenty years her junior, would not), it is not the censure of Middlemarch‘s ideal reader. Mead’s take on Eliot’s unconventional life suggests how it affected her moral philosophy. “Middlemarch is not just concerned with the social consequences of geographical provincialism,” she writes. “It is also concerned with the emotional repercussions of a kind of immature provincialism of the soul — a small-minded, self-centered perspective that resists the implications of a larger view.” This larger view was all Eliot asked for. Writing to a friend following her late wedding to John Walter Cross, she implored: “I can only ask you and your husband to imagine and interpret according to your deep experience and loving kindness.” In Middlemarch, marital incompatibility is not just one person being misunderstood by another but, as Mead writes, “two people failing each other in their powers of comprehension.” The largeness of heart and mind — the absolute comprehension of each of the other — that she perceives in the long, ecstatic union of Eliot and Lewes was quite possibly the source of the enormous sympathetic capacities that produced Eliot’s greatest work. 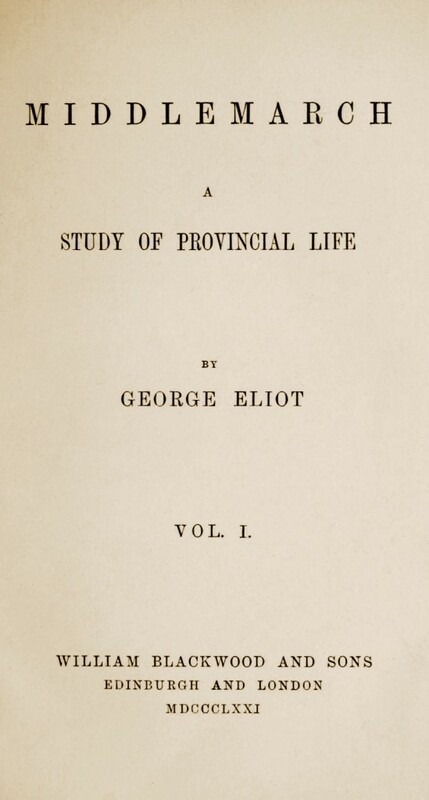 Aside from its perspicacious analysis of the interpenetrations of Eliot’s life and work, the principal pleasure of My Life in Middlemarch is in Mead’s deeply personal account of the novel’s effect on her own life. This book, which had been published serially in eight volumes almost a hundred years before I was born, wasn’t distant or dusty, but arresting in the acuteness of its psychological penetration and the snap of its sentences. Through it, George Eliot spoke with an authority and a generosity that was wise and essential and profound. I couldn’t believe how good it was. The only effect I ardently long to produce by my writings, is that those who read them be better able to imagine and to feel the pains and the joys of those who differ from themselves in everything but the broad fact of being struggling erring human creatures. Great art, as is found in Middlemarch, allows us to understand each other’s “struggling erring” natures with not judgment but love. Read it now; read it again; march on. 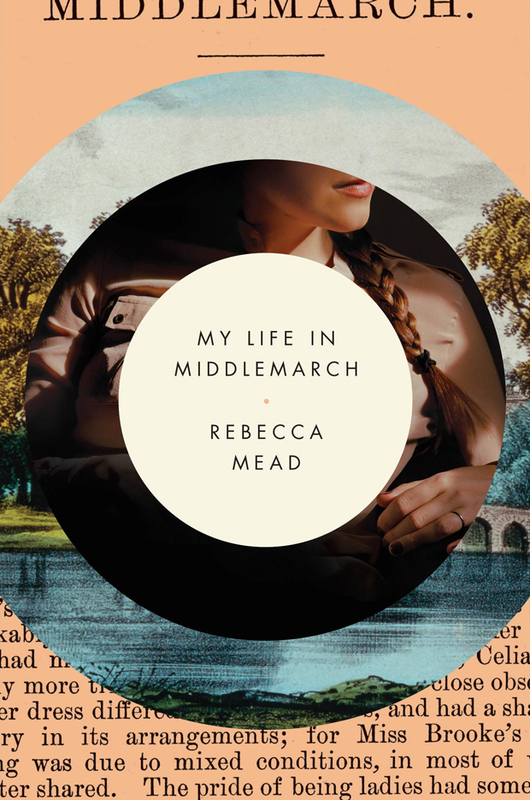 You can follow Rebecca Mead on Twitter and buy a copy of My Life in Middlemarch from McNally Jackson.